What’s in a Name? Guts. It was the night before my baby shower and all through the house every baby was named except the one in my belly. 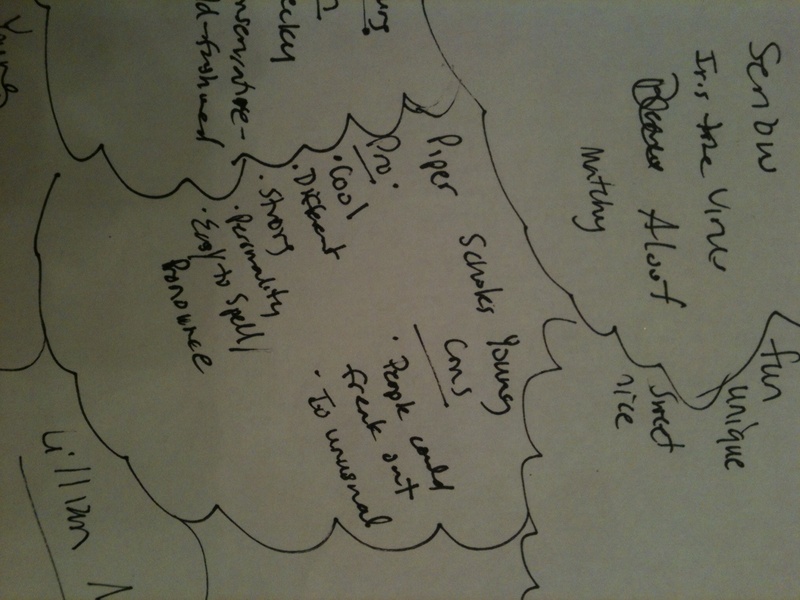 My sister-in-law arrived with an agenda, having heard a rumor that we were undecided in our task. She’d had twins a few years before, so she has street credibility in the baby naming department. She’s also a media specialist at an elementary school, so if anybody knows how other kids will tease and torture you because of your name, it’s her. The name Piper miraculously appeared on each list! Perhaps it was the subversive suggestions from my father. 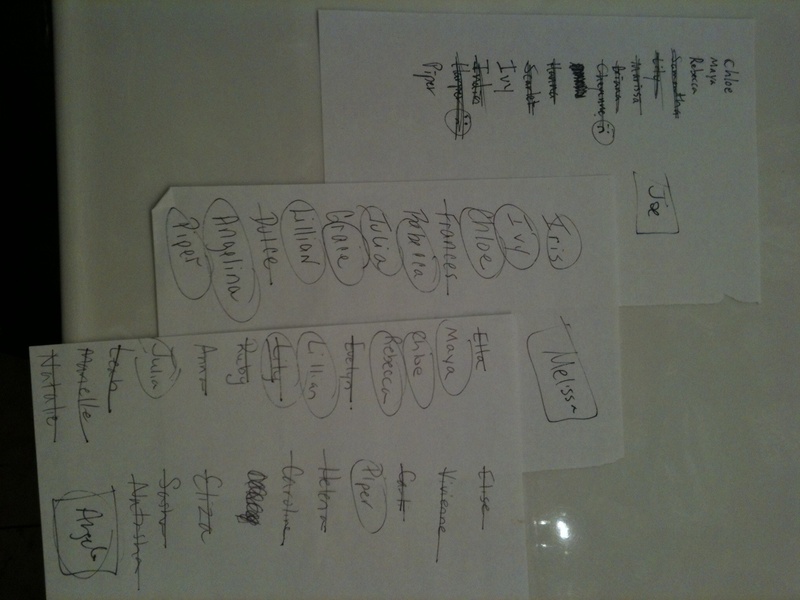 There were other contenders, though, so we made pro/con lists for each finalist. It felt like a double dog dare. I couldn’t possibly back down. Before our final decision, we asked our friend Dash, who was named after the mystery writer Dashiel Hammett and knew all about growing up with an unusual name. “Did anyone ever give you a hard time?”I asked. So Piper became a Piper and it fits just fine. This entry was posted in Blasts from the Past and tagged baby naming, dashiel hammett, double dog dare, piperism, pros and cons, unusual baby names by melissa.scholes.young. Bookmark the permalink. I think she also carries a green backpack with emergency balloon animals. You never know when you’ll need a good balloon animal. Ohhhh…sooo close. An Angelina and an Angela made the list (Angela even had a square AND a circle around it)……shucks!!! Although, I will say that just knowing Piper through her keeper’s blog, I think you made the right choice.